Niels Connell was born on May 30th, 1991, in Boxtel, The Netherlands. After graduating from high school in 2009, he enrolled in the bachelor Biomedical Sciences at Radboud University Nijmegen, in Nijmegen, The Netherlands. He graduated from the Biomedical Sciences bachelor program in 2012, with a specialty in Movement Sciences. In 2012, Niels was accepted for the master program Physician – Clinical Investigator (A-KO) at Maastricht University, in Maastricht, The Netherlands. He graduated in 2016 with a specialty in Internal Medicine. His thesis focused on the risk of developing iron deficiency following long-term use of proton pump inhibitors. 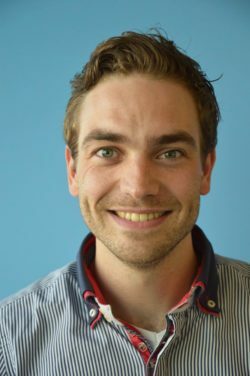 In September of 2016, Niels joined DMRG as a PhD student on the TIFN MitoHealth project. His work revolves around human intervention studies, focusing largely on the role of nutritional stimulation of mitochondrial function and its relation to muscle function in the physically impaired elderly.